Looking to supplement your income to help cover your expenses? There may come a time where your income just isn’t enough, or you may just want to build up your savings. If you find yourself in either position, there are a few non-traditional ways to earn extra cash in your free time. Similar to freelancing (but generally less specialized), you can apply to become a temp worker. This can be especially helpful if you find yourself between jobs, because these roles are specifically for a fixed period of time. There are even job sites dedicated to finding people temporary work. Temp work is a great opportunity to supplement your income and get experience in different fields. Mobee: Available for Apple and Android phones, Mobee pays you to become a mystery shopper. Create an account, then open up the map and see what “missions” are available in your area. Earn anything from 150 to 3000 points per mission (or $1.50 to $30). TaskRabbit: Available for Apple and Android devices, TaskRabbit allows you to get paid for services that save people time, such as running errands, going shopping or doing chores. It’s a great way to earn income in your spare time, since the base pay is more than double minimum wage and can reach up to $34 per hour for simple home repairs and moving help. SlideJoy: Available only for Android phones, this app turns your phone’s lock screen into an advertising platform. It exposes you to relevant ads in exchange for a small amount of money each time you view one. You can expect to make about $5 – $10 per month (depending on how many times you check your phone). Uber and Lyft match automobile drivers with passengers who request rides through smartphone apps, and passengers pay automatically through the app. Drivers have the flexibility to drive any time during operating hours, and they choose the areas they work and rides they give. If your automobile and driving record are approved, this would allow you to consistently make money on your own schedule. While mobile technology is combining with automobile technology to create the services mentioned above, you can also transport people in something of a more primitive way — by bike! Bicycle taxis, known as pedicabs or rickshaws, are used in many cities around the world to provide a fun and eco-friendly way for people to travel relatively short distances. Pedicab operations are regulated in many major cities, with each city having its own barriers for entry and rules to comply with. By researching the pedicab industry in your city, or creating one, you can make a good amount of cash and get a great workout at the same time. Do you have free time before or after work or on the weekends — and an affinity for children? Why not become a childcare provider? There are countless families and a multitude of agencies seeking individuals to look after children at times that are convenient for someone looking for multiple sources of income. If childcare isn’t so much your cup of tea, perhaps animal care is. Between pet-sitting and dog-walking, opportunities to make money by taking care of animals are often abundant. On-demand walks are becoming very popular with apps like Wag!, which functions similarly to ride share apps so you can build your schedule the way you want it. Explore online resources such as Craigslist and eBay to make a quick buck. 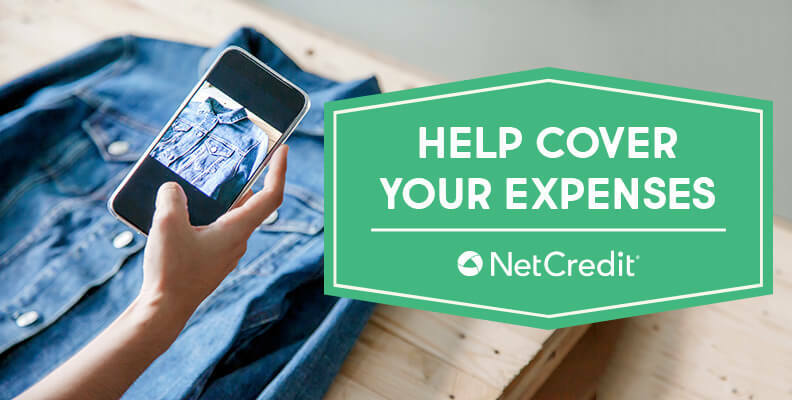 If you have a lot of clothes, check out clothing resale sites like thredUP or Tradesy. If you have a large number of smaller items, a good old-fashioned yard/garage sale can be a great way to rake in some cash in exchange for unwanted belongings. There are a host of market research companies that will pay you for your participation in research studies — both online and in person. Many of the in-person, consumer-oriented companies will reward you generously for just a few hours of participation.